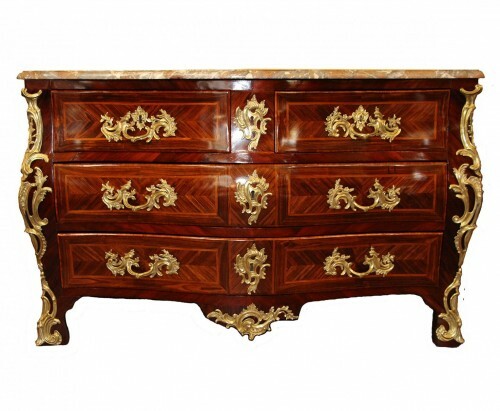 Chest of drawers inlaid rosewood and rosewood. 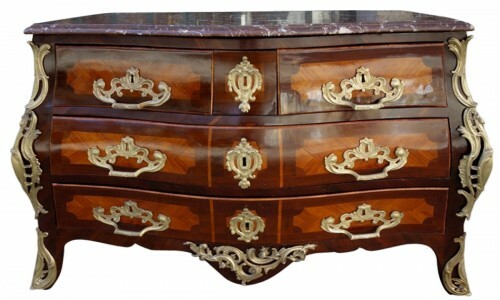 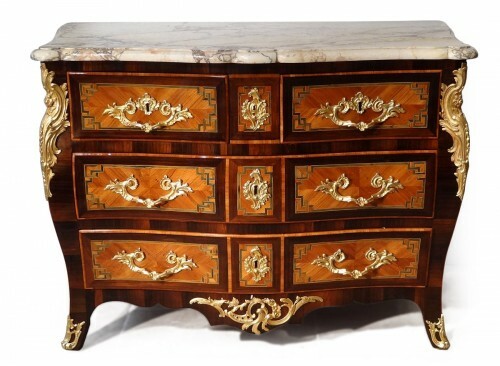 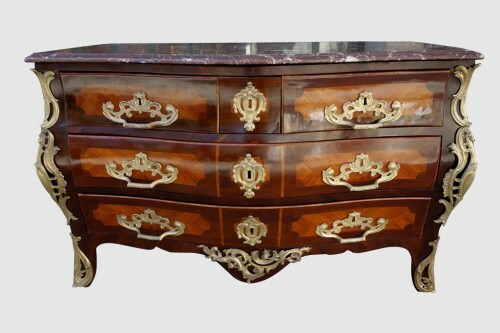 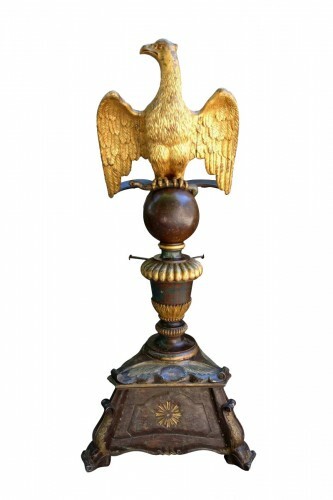 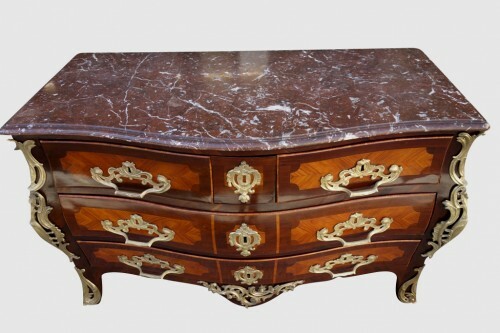 Opening with 5 drawers with reserves in front and decorated with opulent bronzes, topped with a royal red marble. 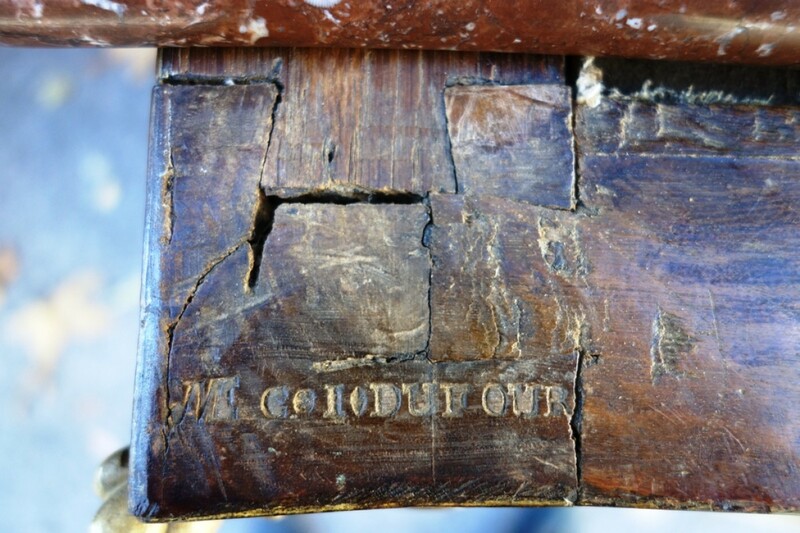 Stamped C.I Dufour and JME. 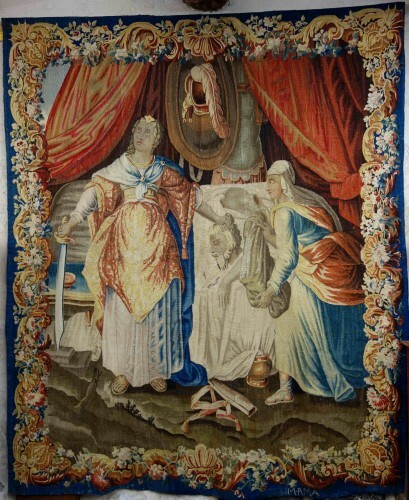 18th century, between 1759 and 1780. 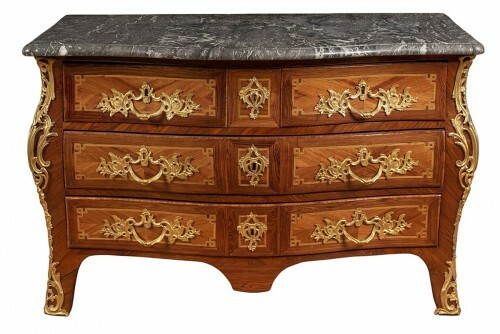 Charles-Joseph Dufour born in 1740. 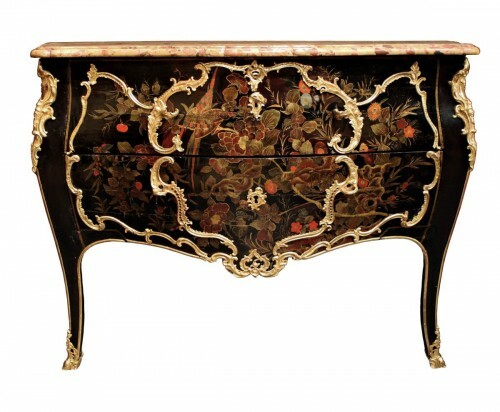 Master December 3, 1759, He worked until 1769 before settling in Faubourg Saint-Antoine. 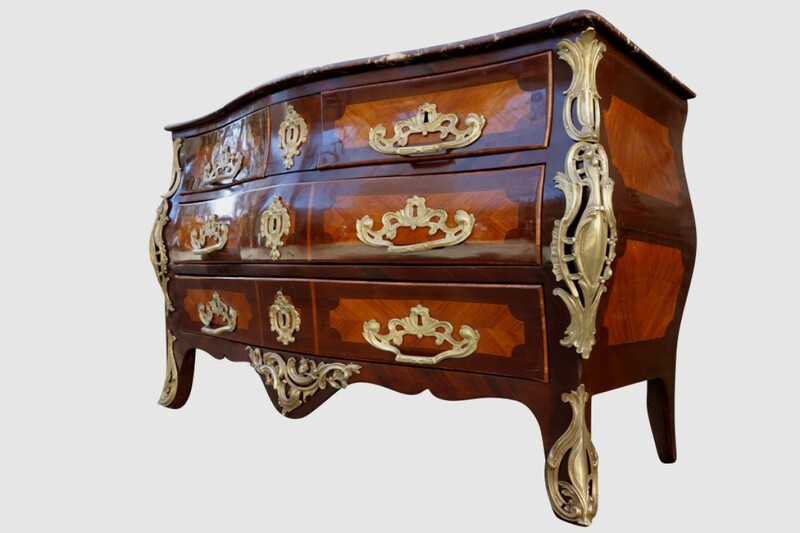 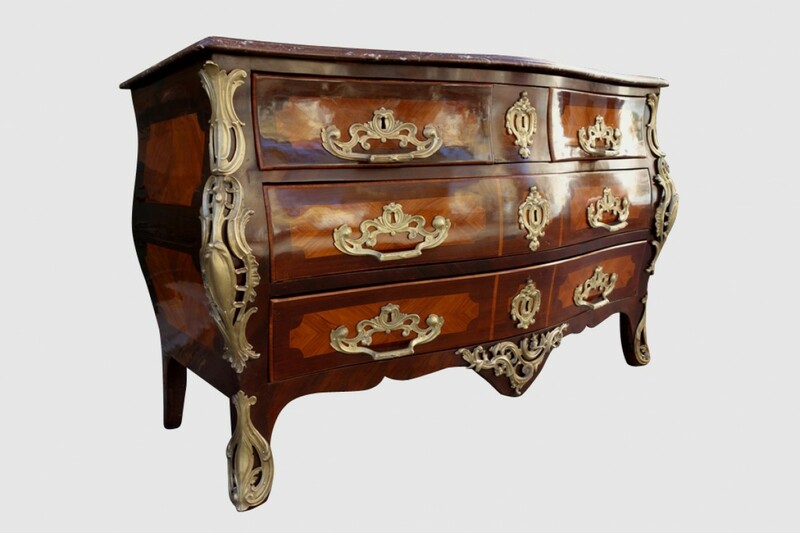 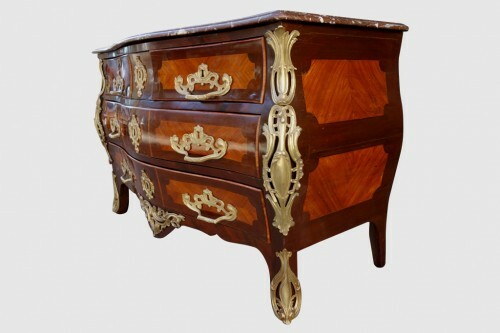 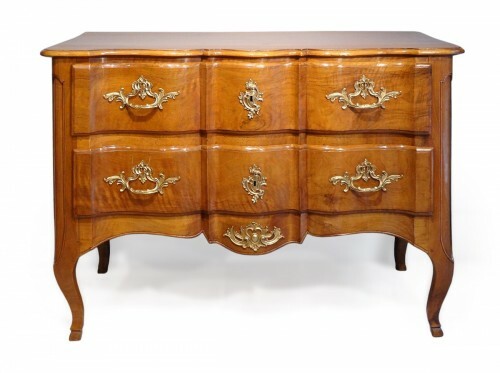 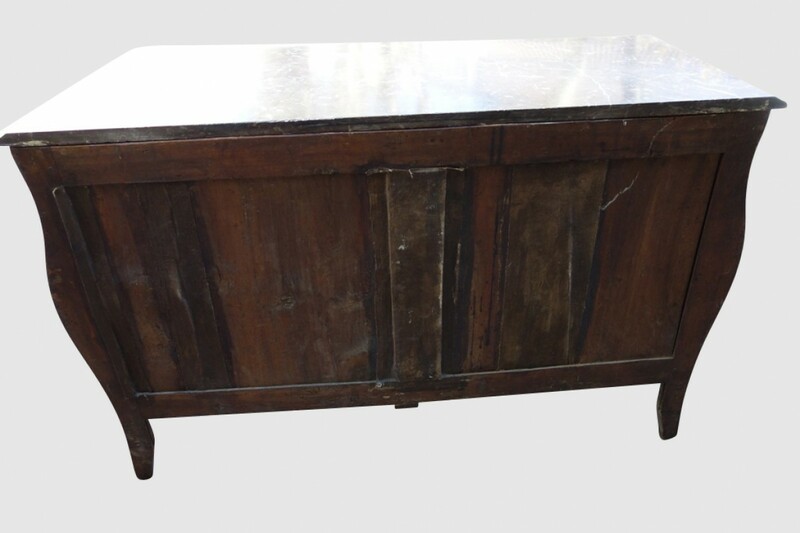 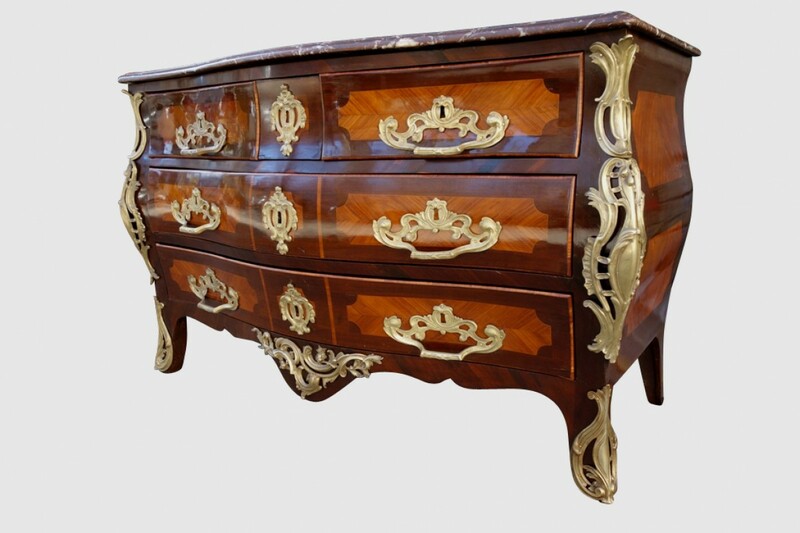 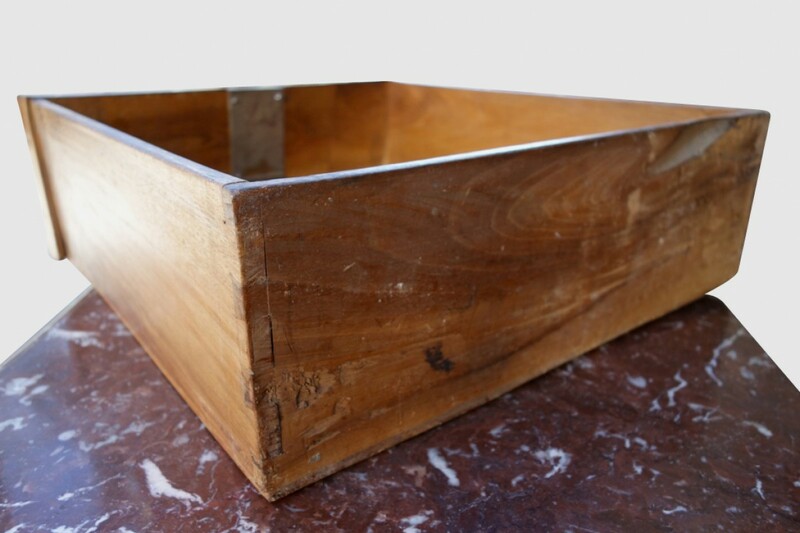 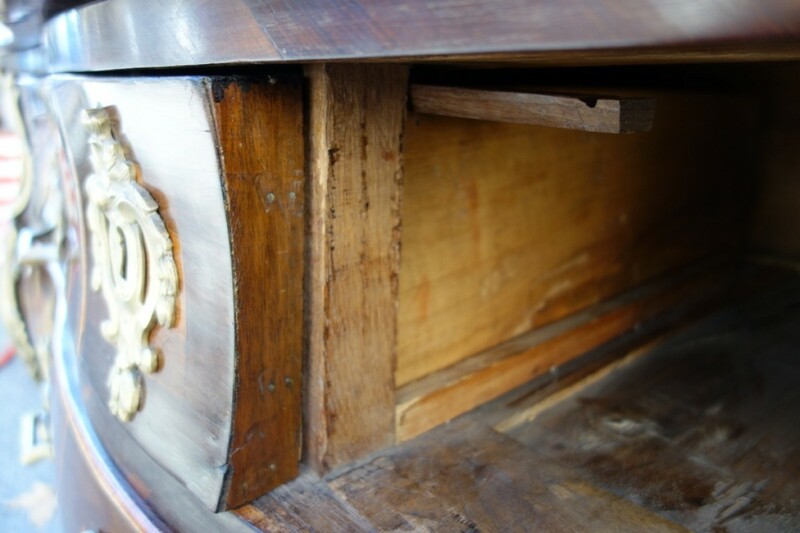 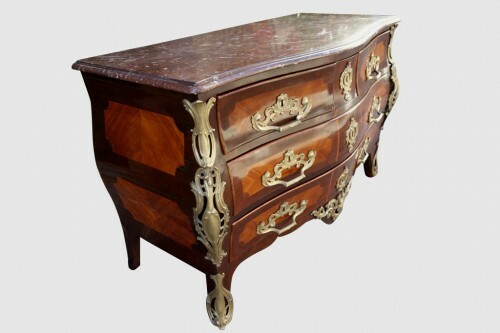 He is a specialist Louis XV chests that he particularly likes. 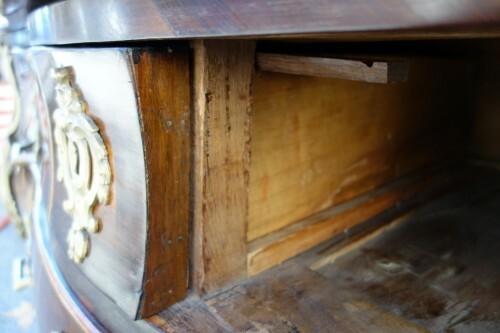 In particular, he received orders from merchant-mercers. 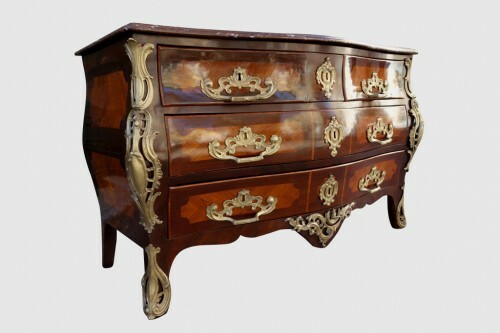 One of his dressers was in the old Demachy collection. 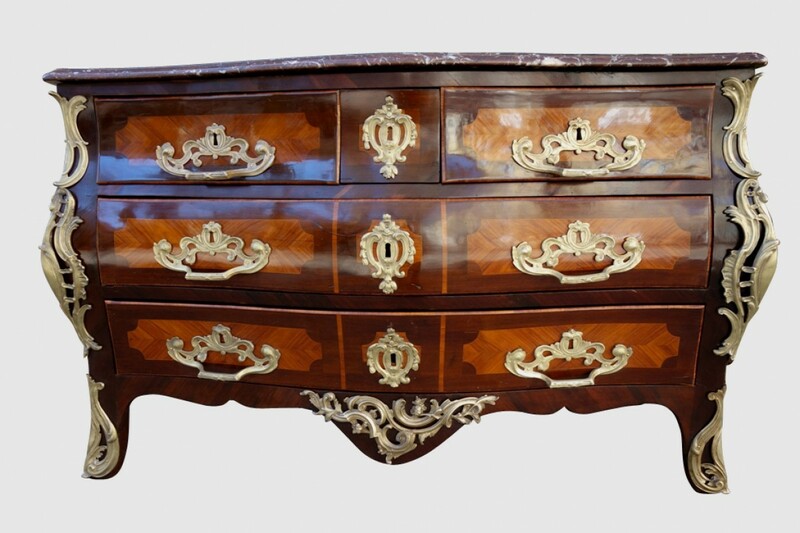 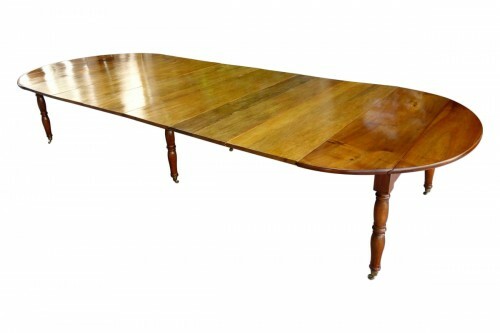 He also intervened as an expert during the succession of Joseph Baumhauer, cabinetmaker privileged of the King.